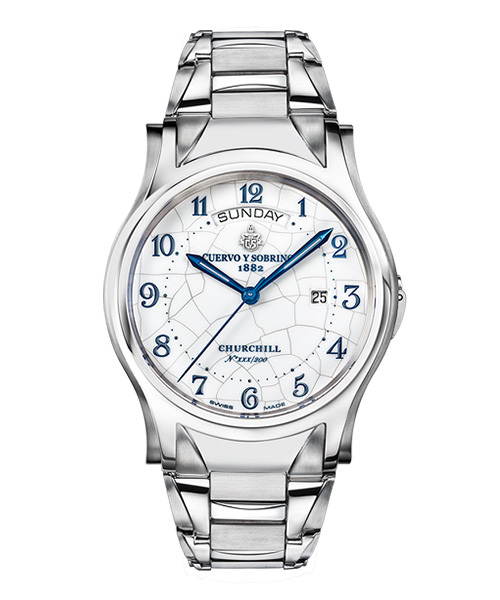 One of the most popular collection of Cuervo y Sobrinos watchbrand, the Historiador collection, enriched itself with a model named “Frechazos”. The “Frechazos” is available in 4 different colors: blue, green, ivory and burgundy color. The design of the watch is inspired by the 1950s and red second hand reminds a spanish expressions: “fretchozo Lechazo” which means “to shoot an arrow at first sight”. However, the design is not the only strong point of the Frechazos model. The piece comes with a chronograph and the date functions. The size of the case is 42mm and the bracelet is in alligator leather. 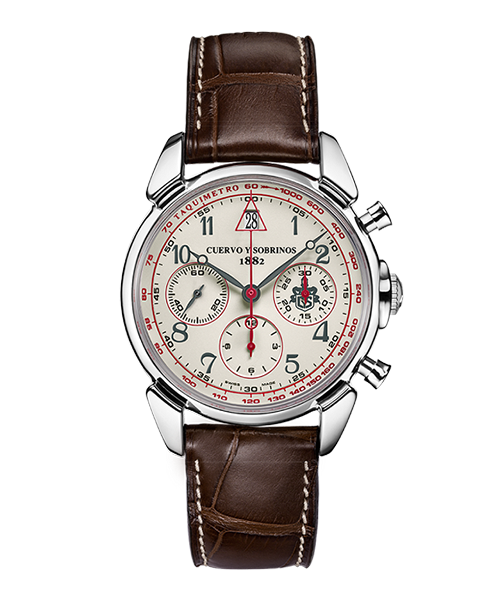 The Cuervo y Sobrinos brand has a rich history that started in 1882, in a luxury jewellery in Havana. The brand has convinced some famous personnalities like Einstein. 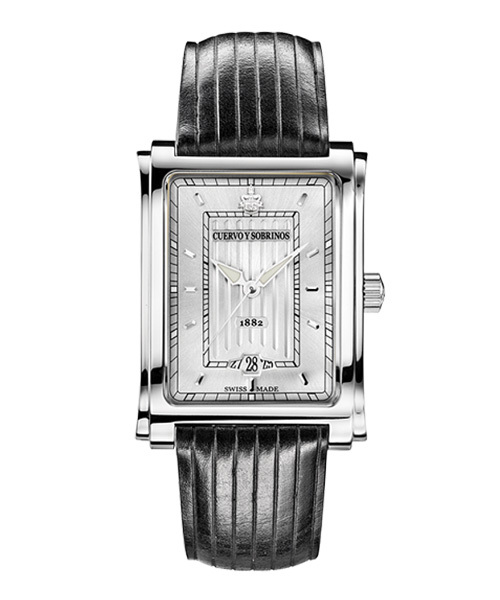 As a watchmaker, Cuervo y Sobrinos also worked with some other famous watch brands like Rolex and Patek Philippe.